The Sabah Government wants a federal-level committee to be set up to study the requests made to the prime minister by Sabah Barisan Nasional component parties. Deputy chief minister Datuk Seri Joseph Pairin Kitingan said such a committee is crucial to ensure all requests are given due attention and consideration. Leaders of state BN component parties had made certain requests during separate meetings with Datuk Seri Abdullah Ahmad Badawi early last month. Pairin said Sabah is not making demands, but merely a request based on the aspirations of the people and the needs of the state. 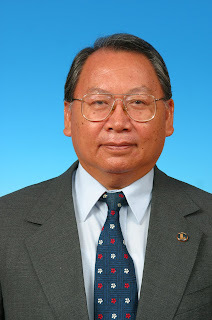 He said one could refer to the recent speech in parliament by Kimanis MP Datuk Anifah Aman who spoke about the feelings and aspirations of the people of Sabah. "We know the federal leadership are wise enough to consider the content of the request," said Pairin, the Parti Bersatu Sabah (PBS) president. On the opposition's claim that some MPs in Sabah would be joining Pakatan Rakyat soon, Pairin said it is not surprising. He recalled that in 1994 Parti Keadilan Rakyat (PKR) advisor Datuk Seri Anwar Ibrahim and PKR vice-president Datuk Dr Jeffrey Kitingan had made similar efforts to bring down the then PBS state government. "We can see that PKR have their own agenda - one wants to become prime minister and the other one chief minister," Pairin said. Nevertheless, he said, the BN does not see it as a trivial matter, but something important that needs immediate attention and a solution.